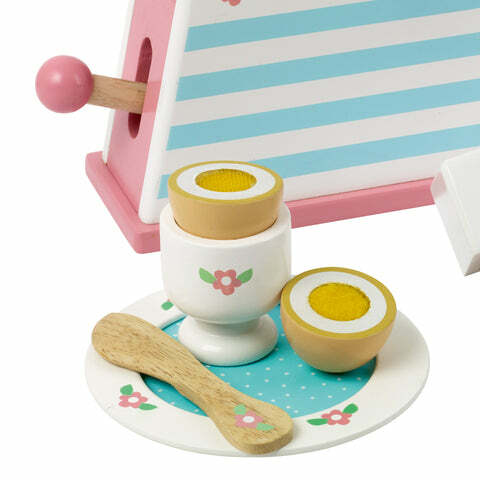 Dorset Breakfast Set | Great Little Trading Co. 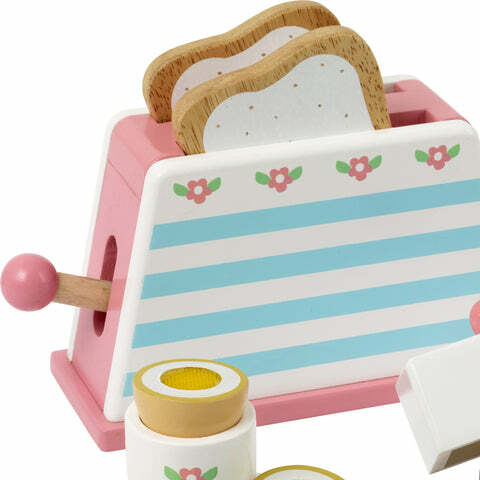 The set includes a pop up toy toaster with a clicking dial, two slices of toast, an egg cup, egg with removable top, a butter dish with butter slices, a plate and a knife. 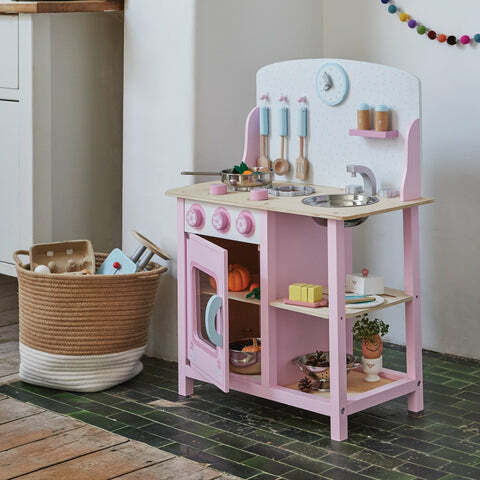 This is a lovely accessory for any of our Play Kitchens. Alternatively you can create a lovely space for pretend play with one of our Play Tables.